This list is not in order. It can't be, since the list consists of fighters across a number of weight classes. The list is purely subjective. I can only report on what I see with my own eyes and what my old brain processes. Because amateur fighters tend to disappear into the pro leagues, there are fighters that could be on this list who aren't. As an example, there's Aggressive Combat Championship title holder Gerald Javier, who's got a camera crew following him around to document his transition to pro fighting. He hasn't yet fought professionally, but it doesn't look like he's coming back to amateur competition, hence his exclusion from the rankings. Marcus Surin - Victory Combat Sports' lightweight champ is the king of the hill, and rightly so. Thus far, no one has been able to overcome his top-notch wrestling blending with jiu-jitsu. Essentially, if he gets a hold of an opponent, the fight is going horizontal and ending in a tap out. Katalina Morales - Morales recently tasted defeat at the hands of Erin Blanchfield in a combat jiu-jitsu match, but combat jiu-jitsu ain't amateur MMA - and in that, Morales is Aggressive Combat Championship's reigning queen. Rob Ovalle - Ovalle pretty much came out of nowhere to take on Bernardo Cano for Victory Combat Sports' welterweight strap, but he got the job done. Displaying a stifling and concise ground game, Ovalle imposed his will and got Cano to tap in the third round - making him the man to beat in his organization and weight class. Bernardo Cano - Bernie may have fallen short in his bid to take top honors in VCS, but he's still a dangerous striker and the proud owner of the Golden MMA Championships 170-pound belt. Expect a renewed focus on training to carry him toward another run at glory. Mike Kuhn - It wasn't easy, but at the last New York Fight Exchange event, Long Island MMA grappling ace Kuhn was able to fend off almost certain doom at the hands of Elijah Punzone, turn the tables, and win a fancy bantamweight strap. Kuhn has proven to be tough as nails, and will be hard to defeat. Eric Ott - At that same NYFE event, Kuhn's teammate Ott showed much of the same qualities. 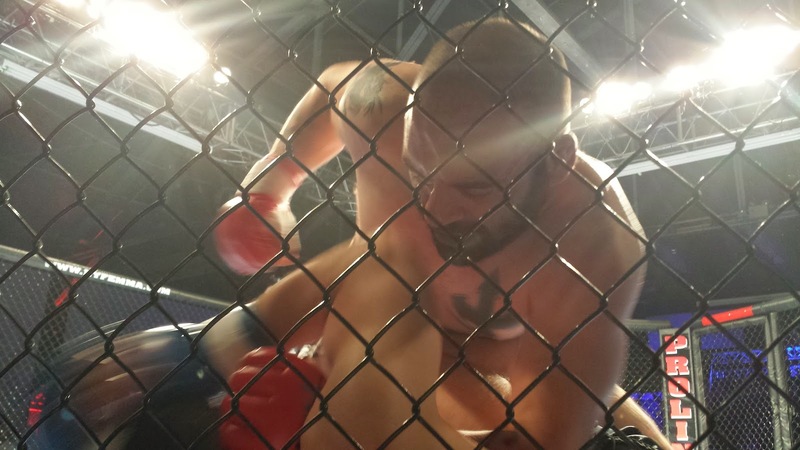 He absorbed the worst of it in his battle with fellow 185-pound challenger Constantine Gemelas, but some fancy guard work in the third round had him reversing his fortunes to get the stoppage - and the belt. Ott is in a tough division, and Gemelas has to be hungry for a rematch, so expect more wars in his future. Rob Scotti - Scotti remains NYFE's featherweight champ, and hasn't fought since his technical submission win over Felipe Carlos. He's still the man, though. Gregy Styles - Okay, I did not see Styles win his belt at the last AKBF Fight League show, but I've seen him fight before and know that as 185 pounders go, he's a beast. The furthest south he's fought is in Yonkers, so technically he's not a New York City fighter. Still, anyone who executes suplexes like he does has to be on this list. Hugh McKenna - McKenna is another fighter who came out of nowhere to fight a champ and dethrone him. In this instance, the champ was NYFE welterweight top dog Jerome Mickle, and at the last NYFE, McKenna simply did everything right to out-grapple the slugger. Jerome Mickle - Despite his recent loss, it's hard to ignore that Mickle went 10-0 before tasting defeat. For that reason - and the fact that he'd probably put away the vast majority of the rest of welterweights in the Five Boroughs - "The Bull" remains on this list. Honorable mentions: Elijah Punzone, who came close to submitting Kuhn when the two fought for a belt; Adrian Czmielewski, who's been utilizing a hard-to-beat top game to earn wins; Constantine Gemelas, who had Ott on the ropes in their NYFE smashfest; Anthony Pipola, who is undefeated as an amateur and who needed only 44 seconds to overwhelm his last opponent; and Nestor Xicohtencatl, who came down from Connecticut to dispatch the highly-touted Ozzie Perez.